High speed fuel from the forest: KL Process Design Group's Wyoming plant produces about 1.5 million gallons of ethanol per year from wood waste, and presently all production is focused on racing fuel. The first cellulosic ethanol plant in the United States to use wood waste as its feedstock has started production in Wyoming, giving KL Process Design Group a head start in this fast growing-and evolving-sector of the biofuels industry. A leader in the area of cellulosic ethanol production, KL Process Design Group believes that wood waste conversion technology as a whole has now advanced to the point where it is possible to ramp up full-scale commercial production of cellulosic ethanol both domestically and globally. Cellulose is part of nearly every natural, free-growing plant, tree, and bush, situated in meadows, forests, and fields-no agricultural effort or cost is required to make it grow. It's estimated that 323 million tons of cellulose-containing raw materials-that could be used to create ethanol-is thrown away in the United States each year. The primary sources are 36.8 million dry tons of urban waste, 90.5 million dry tons of primary mill residues, 45 million dry tons of forest residues and 150.7 million dry tons of corn stover and wheat straw. "Our company has been working for the past five years to develop and successfully execute our cellulosic technology," says Tom Slunecka, vice-president of business development for KL Process Design Group. 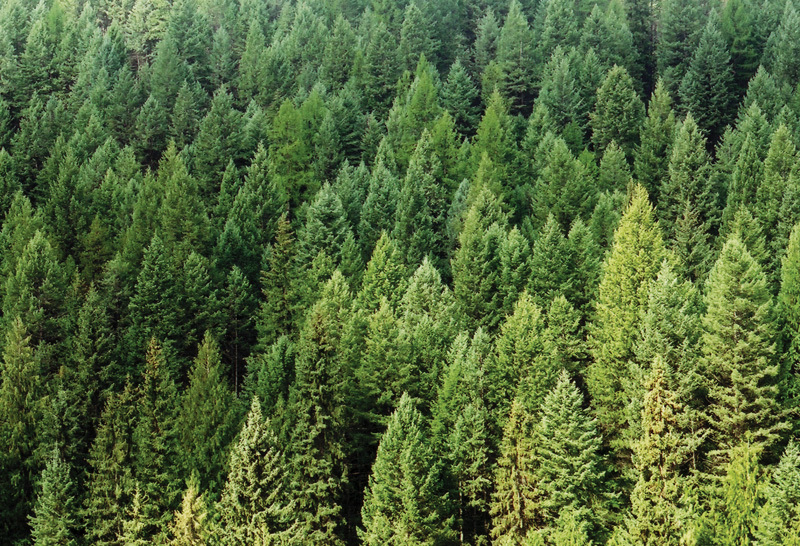 "We've built the first operating cellulosic plant in the United States to operate on softwoods, and that truly will give us a long-term advantage from those that have their process in the lab or who are at the demonstration scale." The company's plant in Wyoming is also the first wood waste ethanol plant that does not use acids or have a full dependency on specialized enzymes to release cellulosic sugars from lignin fibers as part of the ethanol manufacturing process. Ethanol production is essentially a fermentation and distillation process. Ethanol was used successfully as a motor fuel in North America starting in the early 1900s, but since then it has been largely overshadowed by gasoline. More recently, ethanol has made a comeback as an important contributor to the challenge of reducing greenhouse gas (GHG) emissions from vehicles as a gasoline additive. For example, a 10 percent blend of ethanol in gasoline will reduce GHG emissions by six to eight percent if cellulose-based and three to four percent if grain-based. Given its environmental benefits, the U.S. government has mandated greater use of ethanol blended gasoline. A federal Energy Bill passed in December 2007 requires ethanol production to increase to 36 billion gallons a year by 2022, and of that, 21 million must come from cellulosic feedstocks such as grasses and wood materials. It is also seen as part of the solution to the U.S. dependence on foreign oil. The use of wood fiber to produce cellulosic ethanol is much less politically volatile at present than the rough ride that's being experienced by corn-based ethanol producers due to the impact that the use of corn is perceived to be having on food prices. KL Process Design Group does not own any corn-based ethanol production plants. However, its patent-pending, proprietary technology is being used in ethanol plants owned by other producers. Slunecka has his own theory as to why corn-based ethanol has attracted so much negative media attention lately, after being portrayed as an environmental savior only a year ago. Who would like to see this industry go away, he asks, and what strength and influence do these interests have? "Ethanol production is now reaching seven billion gallons. That's a very large marketplace that the oil industry has now lost. So I'm sure that they don't want to lose any more. That's a lot of dollars lost out of their economy." KL Process Design Group believes that much of the current negativity related to corn-based ethanol production is media-driven, considering that the ethanol production industry was well established before the current debate erupted over food prices. Slunecka concedes, however, that the global market for commodities has changed dramatically over the past two years. "One of the important social issues is that the wood biomass material we're using comes from a non-food crop," says Slunecka. "As world food demands ebb and flow, so does the price of those commodities that feed those ethanol plants. Biomass is not a global commodity." Quite the contrary, he says. It is a regional commodity that creates a much more stable platform for business and has a stronger impact on local economies, and that is reflected in the company's business model. Rather than monstrously large production plants, KL Process Design Group sizes its production plants so that the intake of its feedstock from the area surrounding the plant is on a sustainable basis. That way, the plant is guaranteed to have a consistent supply of raw material-without overwhelming local resources. For example, the wood fiber used at the company's Wyoming plant comes from within a 20-mile radius. The Upton, Wyoming, plant produces about 1.5 million gallons of ethanol per year, and presently all production is focused on producing E85R racing fuel for the LeMans Racing Series in the United States. It operates as both a commercial plant and a research facility, capable of producing E10 and E85 ethanol. The number on each 'E' designation represents the percentage of ethanol in each fuel blend. There is no doubt, says Slunecka, that the largest volume of ethanol that will be produced by this and future production facilities will be consumed as a fuel additive. While it cost KL Process Design Group about $8 million for its Wyoming facility, Slunecka points out that a typical five-million-gallon-per-year facility will actually cost about $24 million. "This is very much a research facility that will be converted into a consumer facility," he says. "So its infrastructure is not typical of what the next plant will be." While the end product from either wood waste or corn-based ethanol production is identical, Slunecka claims that the carbon footprint in the production of cellulosic ethanol is greatly reduced, compared to corn-based ethanol. He goes so far as to state that cellulosic ethanol has "the lowest carbon footprint of any fuel we can use or potentially use in our vehicles. It's cleaner than electricity and cleaner than hydrogen." In addition to designing plants that use 1.5 gallons of water per gallon of ethanol produced-as compared to the three gallons of water required per gallon of ethanol produced from first generation ethanol production-with zero discharge to the environment, part of the reason KL Process Design Group can make that claim is the source of its raw material. It also explains why Upton, Wyoming was an ideal location for this cellulosic ethanol production plant. The forestry service in this region uses forest thinning practices to reduce forest fire, says Slunecka. "So, much of the lands in and outside of the national forest go through a process in the summer of cleaning the forest floor." The collected wood fiber had been piled, and later in the year-after a period of heavy rain or snow-the brush piles were burned. But now that wood fiber is being collected, chipped and delivered by a private contractor to the ethanol plant and used as the plant's primary feedstock. It consumes about four truckloads of mainly Ponderosa pine wood fiber per day, or between 80,000 and 100,000 pounds of material. Wood fiber from forest thinning is collected, chipped and delivered to the KL Process Design ethanol plant where it is used as the plant's primary feedstock. The plant consumes about four truckloads of mainly Ponderosa pine wood fiber per day, or between 80,000 and 100,000 pounds of material. Since the brush piles are no longer being burned, this alone has a positive impact on the environment as carbon dioxide and particulate matter produced from burning is no longer released into the atmosphere. The ethanol production process does produce carbon dioxide, but it is essentially a carbon neutral process since no more carbon dioxide is produced than is consumed by the trees when they are growing. KL Process Design has a plan for use of carbon dioxide generated at the Upton plant. The company wants to inject it back into local oilfields where it will be used to help pool oil resources, which will aid in the extraction process. The carbon dioxide can also be used to produce carbonated beverages. Two other byproducts from the ethanol production process are a high protein, low fat syrup, as well as lignin. The syrup can be used as a feed additive for poultry and hog production, and is something that has not been used previously in the livestock industry. Lignin has a wide variety of potential uses, one of them being an energy source. According to Slunecka, the ethanol plant is producing more than enough lignin to power its own facility as well as any other facility that might be constructed in the vicinity of the plant. Burning the lignin will alleviate the plant's dependence on fossil fuels. It can also be pressed into wood pellets. "Wood pellets from lignin contain 20 percent more BTUs than the wood that the lignin came from," says Slunecka. "The wood pellet market is something that is growing in the United States and is growing dramatically in Europe." The company has signed an exclusive agreement with a European company called O2 Diesel Corp. to market its technology across Europe. About 90 percent of KL Process Design Group's research and business development focus is now on cellulosic ethanol. In addition to wood chips, it has also successfully produced ethanol from cardboard and paper. While the company is operating in a competitive environment, it hopes that the technology being developed by other companies will also achieve commercial success. That kind of progress-by everyone in this business area-will aid in the overall development of a biofuels sector that is still in its infancy, but clearly poised for significant growth.